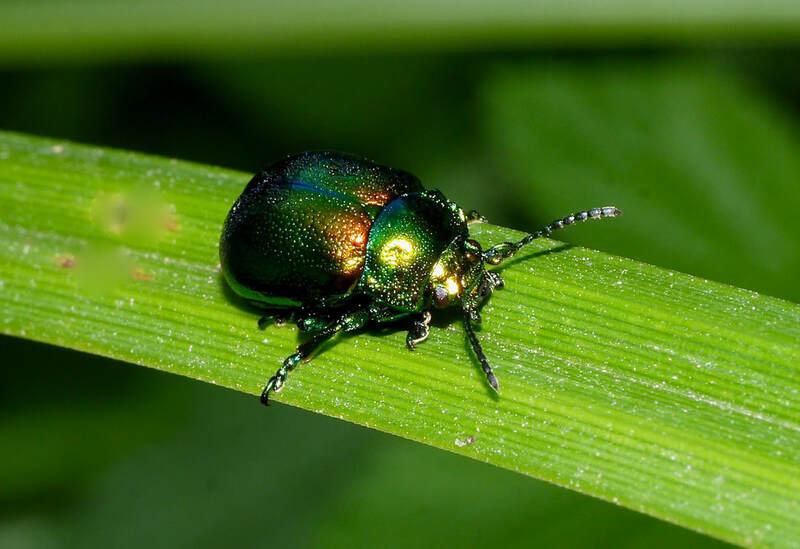 ​Hetty Grant, Warden, commented: ‘This beautiful beetle is about 10mm long, iridescent green with stripes of red and gold, it is lovely to see. It was thought to be restricted to just two sites in the UK, Woodwalton Fen and the River Ouse in York, so it was astonishing to have it found on our reserve by Steve Lane and Andy Brown. It is only found here in the whole of Norfolk, I’m really proud to have this species at WWT Welney’. Several stages of the lifecycle have been recorded on the site, in the form of adult beetles and larva. It is hoped that this fragile population will gain a foothold along the Ouse Washes. Wetlands are incredible habitats for hundreds of thousands of species and summer is a great time of year to get closer to the diverse range of insects we can admire right here in the UK.